← What would you do if you came across a bike crash? Increased density is good, particularly for seniors. Community fear of density generally focuses on two areas: increased crime, and decreased parking. The crime concern is acute when discussing _rental_ density. Check out where demand for police attention is high, and you’ll find high density rental housing. No one wants that in their community, and density advocates need to figure out how to address the issue if they expect to convince anyone. Political correctness is the enemy here. We want functional, high density communities, but the tools available to keep out the criminally inclined are limited by well intentioned civil libertarians. Senior communities are one solution which passes the PC filter, but functional communities include more than just seniors. The unfortunate net common result is a community aggressively blocking higher density development. Lastly, and a minor point: any senior who has lost feasibility with respect to driving, with a very high probability, has also lost feasibility WRT using public transit. The zone of interest is before that. The zone where the senior can drive, but is looking to reduce driving, because driving has become stressful. Getting seniors out of cars before the turn 90 is generally a good thing, and having a transit option surely makes that easier. Demand for police attention is high where there are a lot of people. 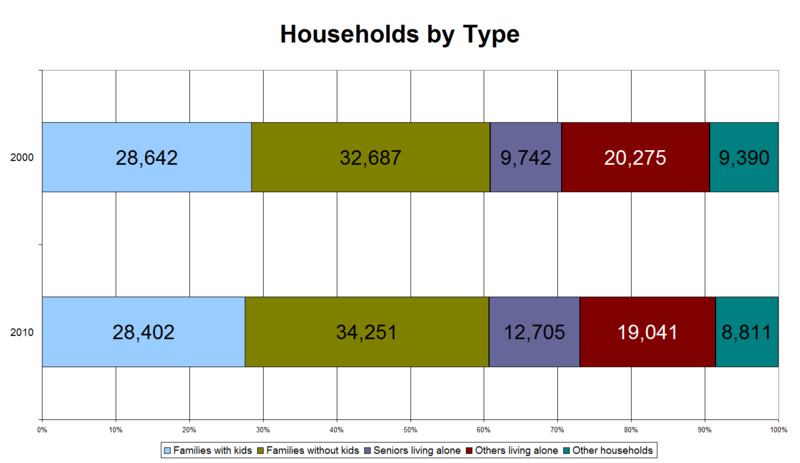 If you have denser housing, you have more people. If there is one police call for every 1000 people, that will be spread out and less visible in a low-density community, but there will be just as many crimes per capita. Measuring criminality per acre instead of per capita leads to the mythology of urban areas having more crime than suburban or rural areas. Constant increasing of population density is crucial, but only if we are organizing toward a specific intention. I know this blog doesn’t focus on matters like achieving higher energy densities like fusion or matter/antimatter, but without this embedded intention to expand humanities’ domain outside of Earth (transfinite), the entire purpose of increased density (and thus the purpose of humanity) is missing.